Generally, not every security breach announces itself this way. Moreover, being hacked is one of those nightmares that can take away your sanity in just a second. As most of us think that we don’t own anything significant, though of investing on a reliable antivirus takes a backseat. The matter of fact is that your data is what the hackers seek. Your data is at risk every time even if you think otherwise. And you are not alert, even after getting hacked you’ll never know! This will give the hacker an unlimited access to your data which he can use as he wishes. We cannot stop hackers from penetrating our system as they keep trying for the same continuously without fail! But we can at least be alert enough to know if we’ve been hacked and take adequate actions. 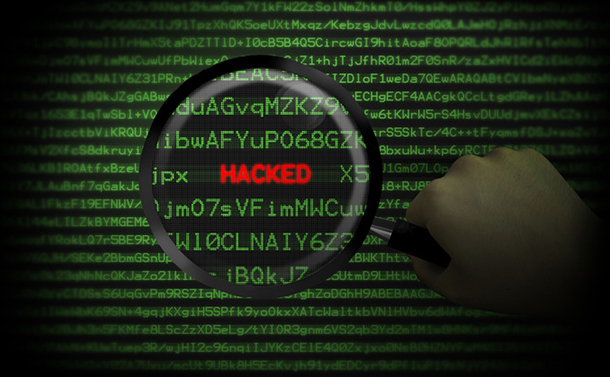 So, is it possible to identify if your data security has been compromised? Of course, all you have to do is check the following points. Let’s get started! Well, if not very slow, the processing speed has reduced considerably and system lag has increased. So, if your system takes forever to boot and you feel like tearing your hair out, then get your system cleaned. Being slow enough depicts that it is busy doing something else than your task, probably serving the malicious program. This is one of the most crucial signs, and you got to pay attention to the toolbox of your browser each time you launch it. In case it has too many tools and you cannot recognize most of them, then get rid of those tools as soon as possible and check your system for infected files. This annoying sign is also one of the warning signals that your system was in claws of hackers. So if the websites you visit are generating too many pop-ups that are irrelevant, then your system is in dire need of getting a checkup! Do you install numerous programs every now and then? And you are unfamiliar with them? If you just nodded in affirmation, you gotta check your system checked for malicious files and other infections soon. The programs that are getting installed might be harmful for you and open gateway to the hacker to steal your data from system. Many a time we are redirected from one page to another and we cannot figure what just happened. This is another attempt of hackers to earn profit by directing the traffic to their website. People who are unaware of this often end up clicking on the malicious links which lead to major hacks later. In a few cases it has been observed that the hackers log you out of your accounts and access it as they wish. By the time you realize something is wrong and act accordingly, they have already exploited you. Therefore, as soon as you find it difficult to login, freeze all your accounts for a day or two. Also Read: How To Keep Your WhatsApp Data Safe With Google Drive And Encryption? Do not ignore if your friends complain that they have been getting too many spam messages from you. There are fair chances that hackers have got hold of your account and are possibly using it for their own. These are a few of many signs that depict your system’s security has been compromised. And if your system shares the similar story, then it’s time to get it cleaned. For this you can get professional help from the certified experts who will help you. In case you are looking forward to avoiding any such mishaps again, it is recommended that you install a reliable and sophisticated security software because prevention is always better than cure fellas! If you think we’ve missed something important, then let us know in the comments section below!